Hong Kong, November 29, 2015 /ChinaNewswire.com/ - Asia Society's Asia 21 Young Leaders Initiative, the Asia-Pacific's preeminent network of next-generation leaders, will mark its tenth anniversary on December 2-4, when it holds a special summit at the Asia Society Hong Kong Center. Asia 21 is a robust network of more than 800 young leaders from 30 countries, focused on shaping a brighter future for the Asia-Pacific, and confronting the most vexing challenges facing the region today. 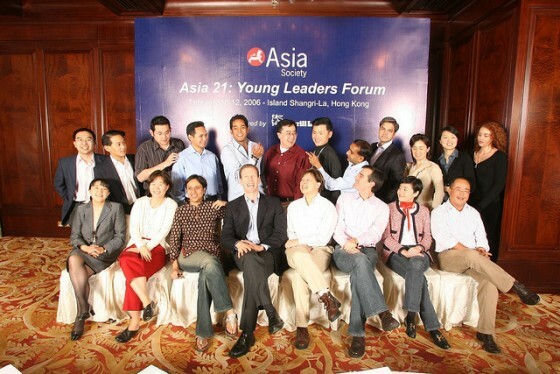 Asia 21 Young Leaders are selected through a highly competitive process based on outstanding achievement, commitment to public service, and a proven ability to make the world a better place. "Next-generation leaders hold the keys to our future, and Asia has a treasure trove of leadership talent," said Josette Sheeran, President and CEO of Asia Society. "Asia 21 includes the most brilliant pacesetters, young leaders who are already helping tackle poverty, hunger and creating new governance and business opportunities. We are proud to give them a global platform and a network of like-minded talent from throughout Asia." In addition to welcoming the Class of 2015, more than 100 of the initiative's change-makers from previous classes will gather in Hong Kong to celebrate the achievements of the first decade, explore innovative ways to leverage the Asia 21 network for greater impact, and address critical issues facing the region. "Asia 21 was born in Hong Kong a decade ago, and so we are proud to welcome this remarkable group to our Hong Kong Center for the 10th anniversary," said Asia Society Co-Chair Ronnie C. Chan, who also serves as Chair of the Society's Hong Kong Center. "These people represent great examples of what we are all about: building crucial bridges between the peoples and cultures of Asia." "Asia 21 Task Forces" will leverage the collective experience and expertise of the Asia 21 network to generate a core set of recommendations on four topics—public health, good governance practices, innovation, and the environment. Participating Asia 21 alumni at the summit will also include President & CEO of Philippines' Bases Conversion and Development Authority Arnel Casanova (Philippines); CEO & founder of Yayasan Cinta Anak Bangsa (YCAB) Veronica Colondam (Indonesia); Vice President for global ICT Programs and Policy, Internews Kathleen Reen (Australia); Executive Director, the Institute for Societal Leadership (ISL), Singapore Management University Martin Tan (Singapore); National Award-Winning Documentary and Producer Aarti Shrivastava (India); Founder and President of the Bangladesh Youth Leadership Center Ejaj Ahmad (Bangladesh); and Partner Chief Engineer at NASA Adam Gilmore (U.S.). For more information about Asia 21 Please contact Kathryn Cardenas at KCardenas@AsiaSociety.org.